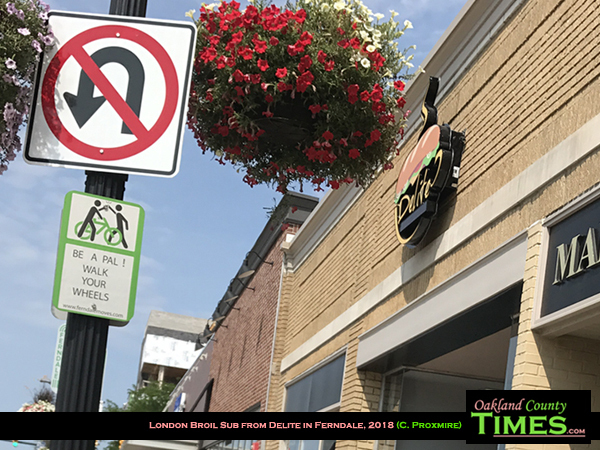 Ferndale, Detroit, Hamtramck, MI – Hamtramck and Detroit-based Delite Café & Deli added a Downtown Ferndale location this summer, and I finally had a chance to give it a try. 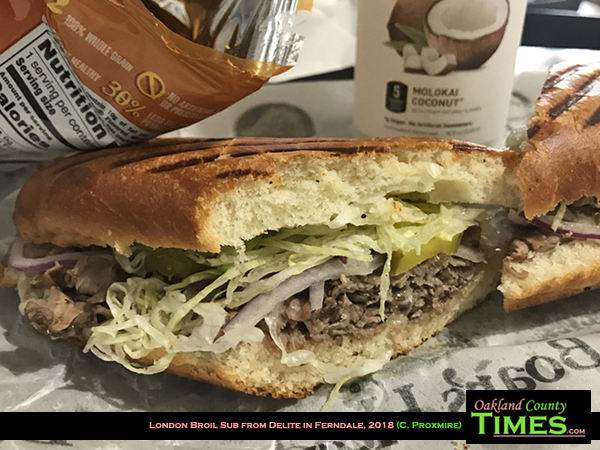 The menu is full of sub and sandwich options, and they pride themselves on using high quality Boar’s Head meats for their creations. 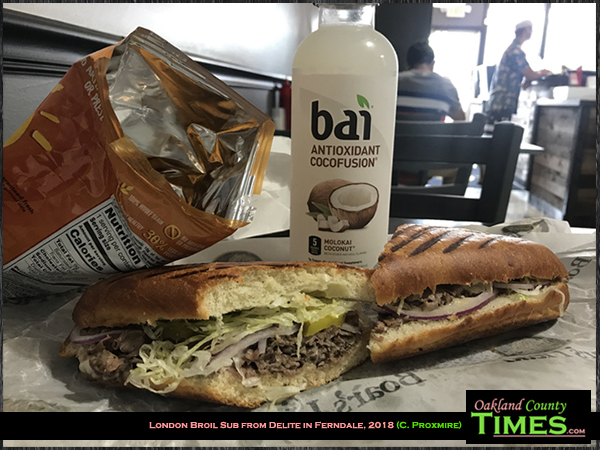 I had the tasty London Broil Oven Roasted Beef sub which came served on a toasted hoagie along with Provolone, dill pickle, lettuce, onions and horseradish pub sauce. The ingredients were top notch and I enjoyed every bite. The combo comes with chips and a beverage, with sodapop as well as some flavored antioxidant water choices. They also have coffee, expresso, hot chocolate, tea, iced coffee drinks and smoothies. 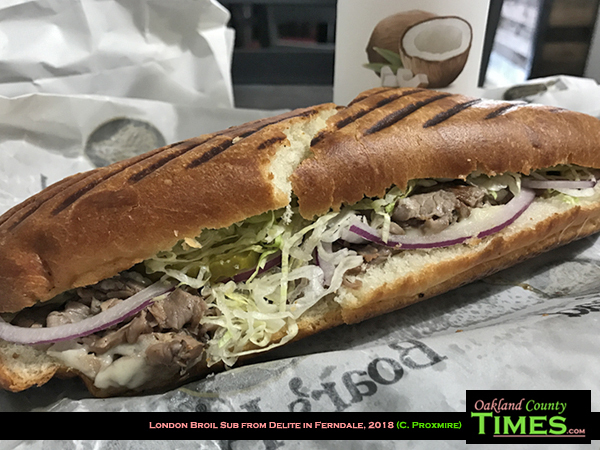 The London Broil was #13 on a list of over 30 sandwiches. Other yummy-looking choices include the #3 Jerk Chicken Cuban, #10 Maple Glaze Honey Turkey, #14 Big Daddy Jay’s Corn Beef and #25 Tuna Wrap. There are even veggie subs like the #26 Three Pepper Vegie Ciabatta or the #28 Falafel Veggie Wrap. Delite Café & Deli is located at 314 W. 9 Mile Road in Downtown Ferndale, as well as 320 E Canfield St, Detroit and 3135 Caniff St, Hamtramck. Check them out online at https://www.facebook.com/DeliteCafeDeli/.